On 20 August 1937, Camillus and Norma Duncan Darden boarded the S.S. Cuba at Havana, Cuba, for a one-day return to the United States arriving in Tampa, Florida, on the 21st. The Peninsular & Occidental Steamship Company operated the Cuba. 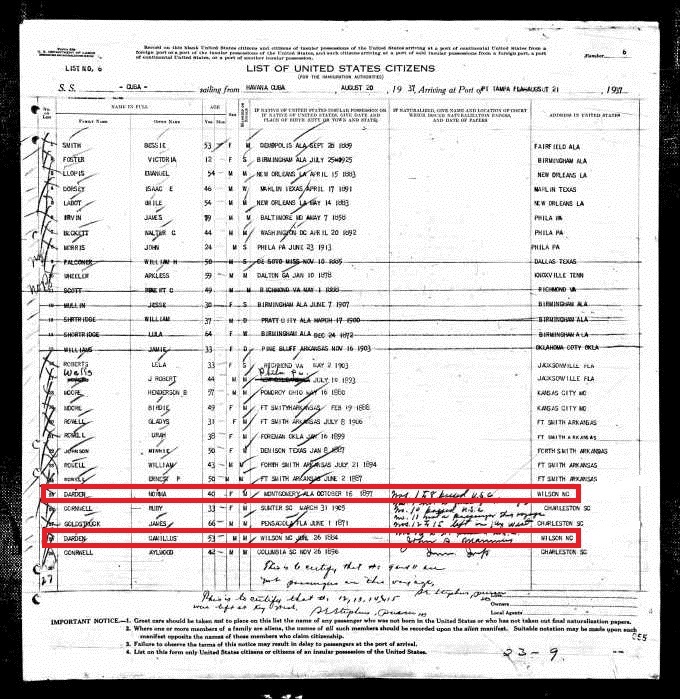 U.S. Citizen Passenger Lists of Vessels Arriving at Tampa, Florida, digitized at Records of the Immigration and Naturalization Service, 1787 – 2004 [database on-line], http://www.ancestry.com. A wreck on the first day at sea. The Colonies and India (London, England), 9 April 1898. 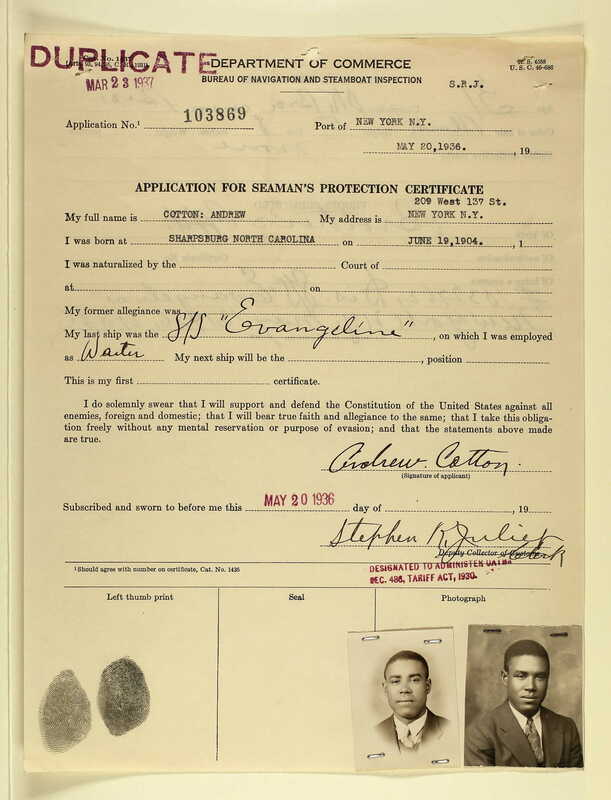 Passport applications for only two Wilson County African-Americans have surfaced in Ancestry.com’s on-line database, U.S. Passport Applications, 1795-1925. One was Isaiah Prophet Thorne. The other — equally ecclesiastically named — was Evangelist James Freeman. E.J. Freeman applied for a United States passport in September 1919, just a few days before his ship, the S.S. Mascotte, was to sail for Havana. He reported that he was born 10 June 1885 in Wilson, N.C, and that he lived in Pearson, Florida, and worked as a laborer. Pearson was apparently “Pierson,” a tiny agricultural town in Volusia County about 20 miles inland from Daytona Beach. The men who swore to Freeman’s identity lived a ways north in Jacksonville and northwest in Lake City. That J.M. Rhodes had known Freeman for 15 years gives some idea of the length of time Freeman had been out of North Carolina. Waiting in Key West, Freeman received his passport in time for departure to Cuba, but he did not stay long. On 14 December 1919, he appeared on the list of United States citizens sailing from Havana to Tampa aboard the S.S. Miami. The steamships Mascotte and Miami belonged to the Peninsular & Occidental S.S. Company, which plied the waters between Tampa, Kay West and Havana. Palm Beach Post, 16 April 1918. 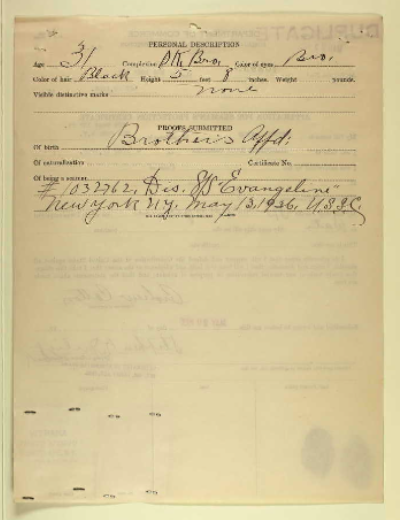 Just a year before his voyage abroad, Evangelist Freeman registered for the World War I draft. He was living at the time in Yelvington, a crossroads across the Saint Johns River from Palatka, Florida. He listed his employment as “minister of the Gospel,” but, according to the 1920 census, his employer Will Tilton was a potato farmer.